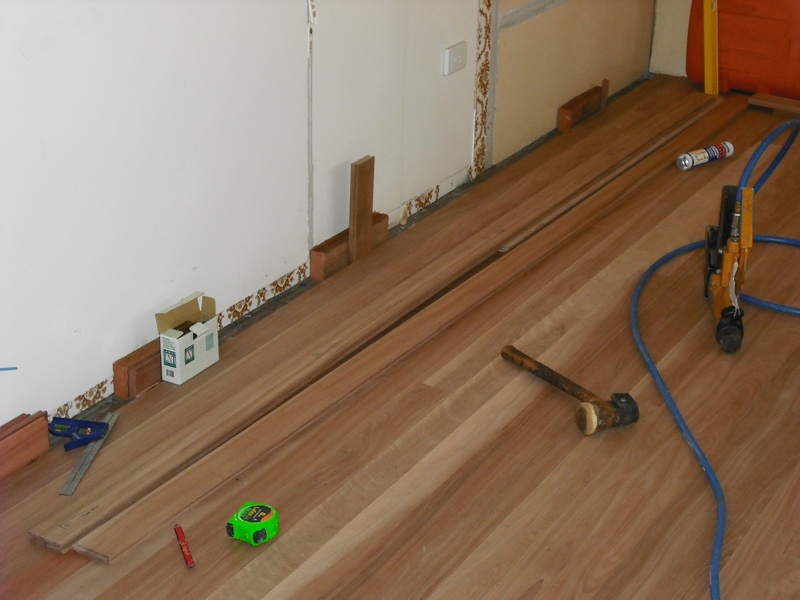 The existing floor was good in this case, but sometimes ply can be placed as a base to the tongue and groove flooring your installing, if necessary. 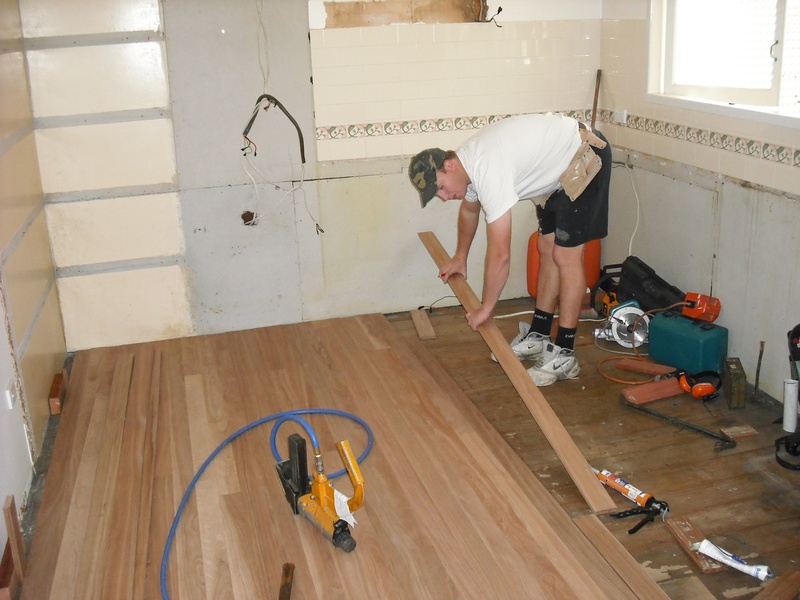 Choosing the colours and grains is important to make the floor uniform. When cutting, make sure you stagger all the joint locations. Choose the number you want then start cutting those measurements. Also, as a rule of thumb, always check the squareness of the area and level of the floor before you start. I used a secret nail gun to fix the floor boards with Liquid Nails. The floorboards must be placed tight and, where required for expansion, fishing line used for a gap guide.